7 Hidden VLC Media Player Features We Bet You Didn't Know! There is a whole bunch of perks while using VLC Media Player! It is capable of playing almost any available file format, converts videos in a jiffy, comes with a simple user interface and well what more do we want. In fact there’s so much more you can do with VLC, whether you’re using it on Windows, Mac, or Linux. 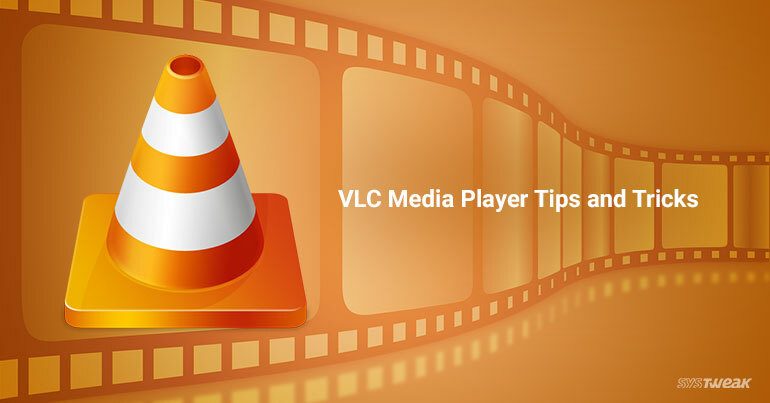 Let’s explore a few of VLC Media player’s hidden features that can enhance your experience! With VLC on board you don’t need any other third party tool to convert videos in any format. To do this, tap the Media menu and select Convert/Save. Load the record you need to change over, tap the Convert/Save button, and select the sort of document you need to change over it to. Utilize the Edit selected profile button to change the video encoding settings. Did you know with VLC Media player you could easily stream content across the internet or a local network. To begin, tap the Media menu, select Stream, provide the media record you need to stream and tap the Stream button. You’ll be able to set up VLC as a media server so different PCs on the network can also view the content around the world. Yep you heard that right! No third party tool or additional software required, you can easily record your desktop’s screen with VLC player. VLC can load your desktop as an input device. You can use the Convert / Save feature to save a video of your desktop, effectively turning VLC into screen capture software. In order to access VLC Media Player’s diversified tools, go to Tools > Adjustments and Effects. From here, you will see tabs that contain the A/V control instruments. On the video side, you can adjust colors, edit, turn video, include channels, and so forth. With sound, you get the standard equalizers to tune your music. VLC gives Internet Radio channels on its Playlist sidebar for you to browse and search for online radio stations. If the given stations don’t intrigue you much, you can play your most loved channel by getting the station’s URL and opening it using Media > Open Network Stream. Ever felt the need of capturing a snapshot of the video you are watching? VLC has an approach to do as such. Just use the shortcut Shift + S on Windows and Linux or CMD + ALT + S on OS X. The screenshot will be saved in your Operating System’s respective gallery. To add a subtitle instantly, play your video and go to Subtitle on the menu bar and tap “Add Subtitle File”. If you want VLC to automatically enable the SRT file as soon as the video starts playing, place the SRT file in the same folder as the video and rename it with the same name with that of video file. So folks, here were a few hidden features of our most favorite media player. Hope they will enhance your media experience. 5 Best WhatsApp Alternatives You Need To Try Now!